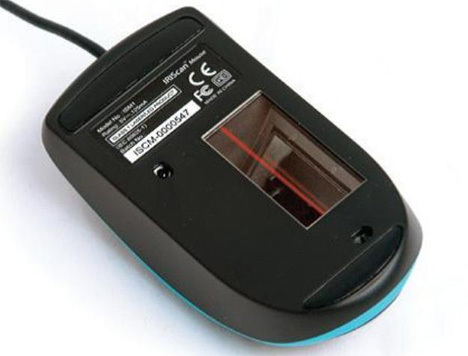 This normal-looking mouse is much more than meets the eye – it also doubles as a scanner. 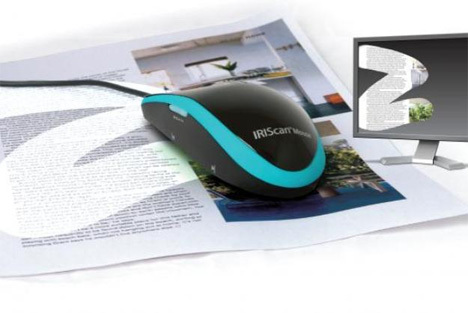 The IRIScan mouse works like a regular mouse, but it also features an extra button that lets it scan whatever is under it at the time. Press the “scan” button and swipe the mouse over a contract, letter, picture or other important document, and the image of that object appears immediately on the screen. You can drag and drop the scanned document into your favorite program to edit it, send it or post it. The combination mouse and 300 dpi scanner costs $79 and comes with a three-month subscription to Evernote Premium. The very cool combination device would undoubtedly be useful, but we’d worry about accidentally hitting that “scan” button over and over and ending up with hundreds of scans of our Spongebob mouse pad.